A vibrant downtown-style area along the Route 35 corridor, an easier time for homeowners to make improvements, and promoting year-round residency are a few of the goals of both residents and officials who are helping to map out the future character of Ortley Beach. 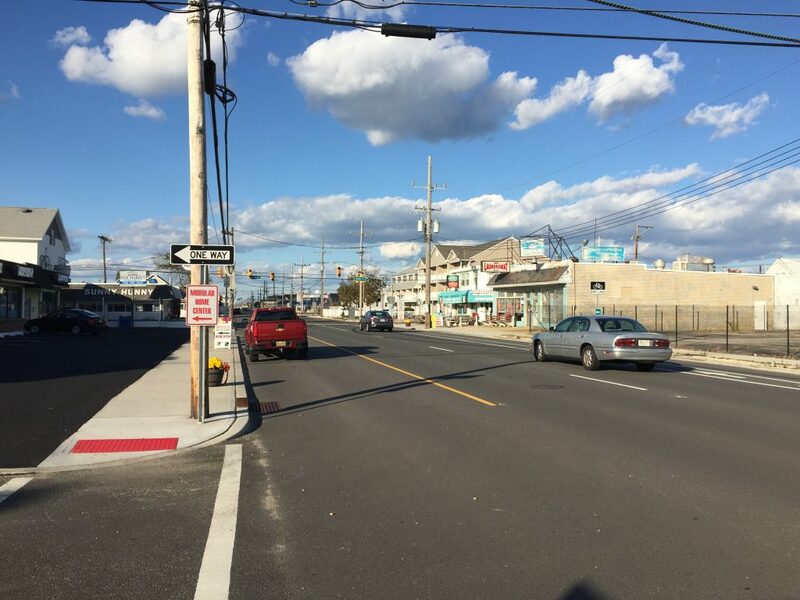 Toms River recently unveiled the results of a master plan study commissioned by T&M Associates, an engineering firm, using storm recovery funding. The study took into account preferences from local officials and, especially, residents who came to meetings and provided suggestions on how fresh zoning and planning can help the neighborhood grow. The most major of the recommendations made by the firm – promoting mixed-use development along the Route 35 north corridor – was fully based on residents’ input, said Erika Stahl, assistant township planner. “They would like to make sure that retail and business establishments are located on the first floor, so when people walk down the street they’ll still see businesses instead of just a blank wall,” said Stahl. With required building heights having increased due to flood codes, residents were concerned that the “downtown” feel they had long sought would never come to fruition. Mixed-use development, however, is one way to capture the feel of a downtown area, the report said. Such development also follows a trend, with studies in recent years consistently finding that millennials favor living in an area with close access to shops and restaurants. Allowing mixed-use development in Ortley Beach, proponents say, will help make the neighborhood more attractive to young people who want to live near a lively business district with the beach just up the street. Current zoning codes generally call for either strict commercial or residential development, but creating a mixed-use zone would mean both would be allowed, subject to approval by the planning board. The remainder of the changes recommended by T&M pertain to residential development throughout the neighborhood. The consulting team looked at one source of debate in the community – the allowance of duplexes – and sought a compromise. “After the storm, a lot of people are more interested in duplexes, because it helps them with the cost they’ve had to bear with rebuilding,” said Stahl. Some residents, however, have concerns over whether too many duplex properties could be built. They say more multi-family homes could exacerbate parking woes and lead to a proliferation of rental units that could reduce the attractiveness of the neighborhood for year-round residents and families. T&M recommended allowing duplexes east of Route 35 south, where more of the housing stock is seasonal in nature, and continue allowing on single-family homes west of the highway, which is already primarily developed with single-family residences and contains the bulk of the permanent population. Duplexes would be allowed as a conditional use east of the highway, however, and development of them would require approval by the township planning board or, if variances are required, the Board of Adjustment. Other recommendations include rezoning many of the areas in the North Beach neighborhoods to MF-16 from R40 in the township codes. The R40 zone requires 4,000 square foot lots, which are not reflective of the homes already built on many streets. The MF-16 zone would allow multifamily homes there. Neighborhoods such as Ocean Beach, Chadwick Beach and others, where lot sizes are often smaller than the township’s zoning calls for, would benefit from custom-style zoning to reflect the existing lot sizes in the neighborhood, the report said. New plans will also call for more off-street parking to address seasonal parking issues, Stahl said. “T&M laid the groundwork for it, so now what we have to do is incorporate their recommendations into the 2016 master plan,” said Stahl. The plan will be subject to multiple, future public hearings and must be approved by the planning board. If the new master plan passes muster with the planning board, it must then go to the township council for a vote (and another public hearing) where it would be formally adopted by ordinance. Paul Jeffrey, president of the Ortley Beach Voters and Taxpayers Association, said members of his group will attend public hearings on the matter. He expects the council to adopt the plan by year’s end. “We need to continue to push for these recommendations to be incorporated into the master plan,” he said in an e-mail.